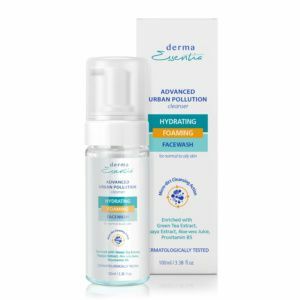 Derma Essentia Advanced Oil Free Face Wash for Oily Skin is an excellent blend of gentle skincare ingredients that provides deep cleansing & clear out excess oil, dirt & dead skin cells. This action aids in clearing clogged skin pores. It’s very gentle on your skin yet very tough on acne. Regular use ensures a clear, brighter and smooth skin. 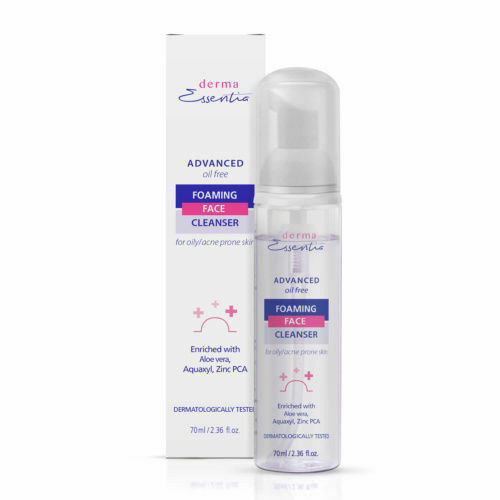 Derma Essentia Oil Free Foaming Face Wash for Acne is enriched with the Papaya fruit extract and Sugarcane-derived Glycolic acid which help in gently exfoliating dead skin cells while Zinc PCA and Salicylic Acid aids in alleviating acne induced inflammation & infection. It also has Aloe barbedensis Juice & Hyaluronic acid, the combination helps skin in maintaining its natural moisture leaving it supple and refreshing. Aqua, Caprylyl/Capryl Glucoside,Sorbitol, Sodium Methyl Cocoyl Taurate, Glycolic Acid, Propendiol, Zinc PCA, Carica Papaya Fruit Extract, Glycerin, Aloe barbadensis Leaf Juice, Xylitylglucoside and Anhydroxylitol and Xylitol, Allantoin, Salicylic Acid, Sodium Hyaluronate, Phenoxyethanol, Perfume. 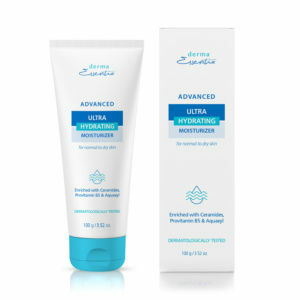 Take out the desired amount of Derma Essentia Advanced Oil-Free Foaming Face Cleanser and rub up to lather on your face. Thoroughly rinse it off with clean water and feel smooth and refreshed skin. Use twice a day for better results.